Do you think you are procrastinating for a reason? It’s been fascinating working through daily journalling prompts from Dale Darley on the 101 days of Being Me journey since the start of the year. Her prompts have made me think deeply about aspects of my life and work. Some days I’ve been inspired to do new things. Other days I’ve reflected on the past. The whole process has shown me just how important it is to be me. These reflections and writing daily, (I’ve added in an extra daily session to focus on me, as I wanted to maintain my usual morning reflections which I’ve enjoyed for over a year now), have helped me re-look at aspects of my life and work which may not be totally me, and don’t fit naturally into my vision for the future. Things which others may be ‘expecting’ me to do, without any agreement on my part. Some of those things, like shopping, cooking, cleaning, washing are part of a parent’s role. However, I don’t remember signing up to all these extra duties when I first became a parent! How many of the roles you take on are assumed roles? We all have multiple roles in our lives. Some we assume ourselves, and others which may be something we agree to, but simply happen. Take being a daughter or son – that’s a role we have by nature of being a human being. Each one of us will have a different sense of what that role means, and how we play it. Then there’s those roles which you may have as part of your work environment – a teacher, mentor, introducer, networker, library of knowledge. Others will assume you’re happy to do things by virtue that you’ve always done them, or you’re in “that role”. In your friendship group or community you may be seen as “the organiser”, or “the communicator”. Roles which others assume you’re OK with. Are you? Looking at myself these past 101 days, I’ve realised that some of the assumed roles I’m seen as aren’t naturally me. I’ve taken them on or grown into them because it’s needed and no-one else will do it; or, I’m being helpful; or I can’t say no to people who ask me to help them. Some of them aren’t me though and it feels out of sync with who I am to continue. Have you got roles which aren’t totally right for you? Are you procrastinating for a reason? One of the things I’ve noticed is that when I’m doing things which aren’t part of my natural instincts I’ll procrastinate. I’ll put things off, not do them, or make excuses. I’ve always known that when you find things challenging that’s when you procrastinate more. What I hadn’t realised until this recent personal development work, was how much I do isn’t naturally me. When I’m using my skills and talents to help others I can whip through a list of tasks which surprises me. My productivity is like lightning! When I’m sorting out the car insurance renewal, for example, or thinking about things which are part of a role someone else has assigned to me, it can take me ages to get things sorted out. Out of all my learning about listening, listening to myself has been one of the most important lessons. Just like the 101 days of being me has helped me learn more about myself and what makes me me, I’ve allowed myself to listen and respond to what I’ve learnt. About 18 months ago I discovered the Five Institute’s Vitality Test, and have been learning more about myself from the team ever since. It’s fascinating and has helped me understand that to be me, I need to embrace my differences, not hide them. We’re all unique individuals. We all have talents and skills different from the rest of our family, friends and community. But we are often not encouraged to be different. As teenagers we want to fit in and be accepted. We want to fit in and get a job, a house, a car. Be part of a team and community. And to do this we often hide parts of ourselves. One of the books I’ve re-read during the last month is Brene Brown’s The Gifts of Imperfection. It was perfect for my learning more about myself. The other one I’ve loved is Michelle Obama’s Becoming. Both these books tell the story of realising you are you. You are perfect as you are. You don’t need to hide any part of you. My Body Brain Balance mentor Laura Donnelly, says, “Ease anywhere, is ease everywhere”. If you’re being yourself there’s no need to hid anything is there? You can simply be you. By being you, you’re doing the things you love and there’s no need to procrastinate about anything. Well, I’ve certainly learnt lots these past few years, culminating in the journalling journey of the past 101 days. All these books, ideas, and even writing my own book called Passion is not enough, have taught me that I simply need to be me. When I’m me, I do my best work. I help more people. My love for my work and supporting others shines through. 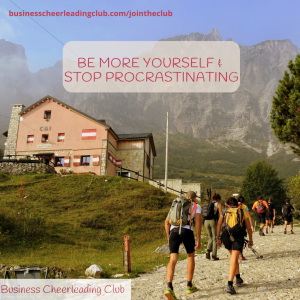 Even though I’ve learnt lots, I love learning and am looking forward to learning from Nick Haines from Five Institute about Procrastination in this 60 minute expert online workshop for the Business Cheerleading Club. Nick will help us to understand ourselves a bit better so we can catch ourselves, or change the way we do things so we’re more ourself and don’t need to procrastinate. We had a lovely weekend with our boys, doing their sporty stuff this weekend. Eldest was at his athletics camp with similar talented athletes from across Britain, being helped and supported to develop his talents for long term success. Youngest was trying out for Triathlon: To become part of a group of young people who compete in the Super Series across Britain, for the most talented triathletes of their age. It was fascinating. Both sports ran sessions for “performance parents”, helping us to help our children maintain balance between sport and academic success. Talking about “Long term athlete development”, and it’s not about winning now, but as teenagers, (in these 2 sports), they’re just at the start of opportunities for representing their country, which could continue for many years to come. If they choose to continue to have this as a goal. Yes both sports approach things differently, but the core messages were the same – building your success starts now. It’s not going to happen overnight. In triathlon they have 4 key values – Focus, Patience, Purpose and Commitment. Their focus is on developing independent learners in the sport, through challenge and discovery. They talked about being fearless in competition, and learning through each opportunity you take in the sport. There was also a focus on “Training as Play”, where you need to learn to love training. If you don’t love what you do regularly each week, then you’re not going to be successful in the sport. It’ll be too hard for you. The most successful athletes are those who just love what they do. They often don’t think of it as training, even if to us as parents and observers, a 4 hour bike ride over steep hills sounds impossible to achieve! Within both sessions there was a real sense of exploration. Using this time, with others who want you to succeed, to explore your talents, ideas, and test things out. Make decisions which you can reflect on and learn from. Make decisions to explore further, to challenge yourself and see what you love, or are capable of. There’s no failure in trying. In fact, if you don’t try, you fail to improve. My 15 year old, the would be triathlete, didn’t end up where he wanted to be, by 4 places out of 144 starters. Yes he was disappointed, but he tried his best. He had a brilliant weekend, and learnt lots. In fact, it’s spurred him on even more to set new goals for the summer season. He’s clear what he wants to achieve, exploring this new sport he’s loving. He’s just at the start of his discovery phase, and we’re delighted that he wants to learn more and improve and enjoy this sport. We may be biased, but we’ll get to go to some new places around the country with them both this year. We’ll all be exploring together, learning to love what we all do, and helping them to explore their talents and options for development, with our support. What are you exploring next? So as you start a new quarter of the year, what are you exploring and working towards? Who’s in your support team as you develop your ideas, bring something new to market, or reach out to new customers? Are you loving what you’re doing so it comes as natural to you as eating and drinking every day does? Do you feel safe to explore new options and opportunities as they come up? 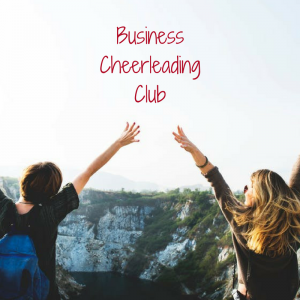 The Business Cheerleading Club is a safe place to explore options, and be supported to grow and develop yourself and your ideas. This month we’ve got the brilliant Nick Haines leading the expert workshop on Procrastination, and there’s the usual 90 minute group coaching call. There’s space for you to explore with us, learning to take ownership of your business and the decisions you make, so you can grow your business. What are you excited about this next quarter? I’d love to hear your plans. Leave a comment below. The horror and revulsion after the shooting in New Zealand last Friday has left many people questioning kindness this weekend. We know horrors happen everyday. From poverty in our communities; to crimes which seem to go unnoticed, but not to the victims. Yet, there is so much kindness in our communities that if we focused on that, would we spread kindness quicker? We spent a wonderful time with friends this weekend, catching up, sharing laughter and food. Kindness was shared in hospitality, and the thoughtful gifts which were shared between friends. Each person listened to others as we updated them on our lives, and we learnt a little bit more about each other. That’s no different from the way in which many people spend time – being with friends and family and listening and learning. How often do you listen well? How often do we listen to those we don’t know though? How often do we meet new people with no other purpose than to learn about them and what they’re up to? For no other reason than we’re interested? Would our listening help us understand those in our communities more? Would those who have no-one to listen to them in their lives, start to feel heard? I’m not professing to have any answers. All I seem to have is questions at the moment! Yet the questions I’m asking myself are helping me to explore things in a bit more depth. The questions others are asking me, are also allowing me to dig deeper and understand the world I live in a bit more. Why is it important to understand? To listen? I believe if we don’t listen to ourselves, or to others we go off down a path which isn’t quite right for us. I’ve done it before, not followed my intuition. Yes, I learnt a lot on those journeys, but wouldn’t it be more beneficial, less time consuming if we followed our intuition and listened to ourselves more? When you listen to yourself you’ll uncover some new ideas. Some ideas you may have had years ago and put away until the time was right and promptly forgotten them! That’s what I’ve uncovered these past few weeks of reflection in my own business and life. When you share your story with others, and they ask you questions as they’re interested to know more, it helps you to shape your ideas. Friends, strangers, coaches and business partners can all help you to fine tune the ideas which have popped into your head, without you needing to spend a lot of time or energy on developing a new business plan. Simply sharing with others helps you hear others opinions and they’ll help you explore if the idea is a good one, or the challenges you may face from how they see it through there eyes. Being kind doesn’t cost anything. It usually doesn’t take any extra time either. Yet, I hear stories of people saying that they found it unusual when they were shown kindness. How about we switch that around? That being kind is normal, and what we expect from everyone in our lives and our communities. As the UK enters another tricky week of discussions about Brexit, what if politicians listened to their constituents and shared kindness to one another to listen to the views of others. Actually listened. What would that do for the conversations we had in our families, in our social networks and in the media? Whatever the results of parliamentary votes, if we all treated each other with kindness would we feel like we were making progress in our country? As you can see, I’m exploring so many ideas at the moment, but they come back to listening and kindness. These are at the heart of all my work, my life and my passions, so I have to explore them each and every day. I’d love to hear what your thoughts are on kindness. Also what you’re exploring at the moment. Are you asking big questions, or being challenged by others or outside forces to look at things in a new way? 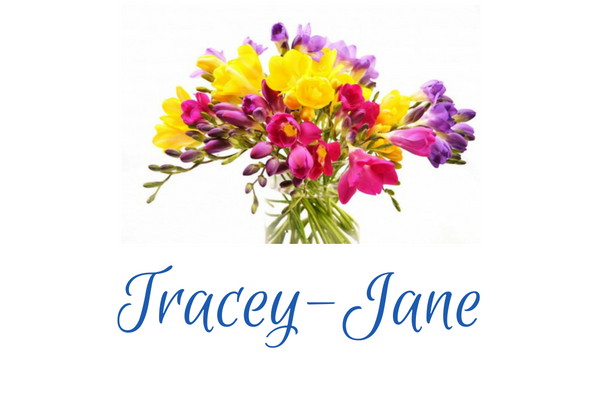 If you need help listening to yourself and your ideas, please feel free to book a free 20 minute explore call. I love listening to you, and hearing where you’re up to and what you’re looking to explore next. There’s been a lot of focus on being strong this International Women’s Day, but not much mention of how to become strong. On my run/walk this morning I was thinking about how our bodies become stronger when we do our stretches after exercise, and depending what activities you do, often before you train as well. That got me thinking about being comfortable and stretching ourselves each day, each week and month. Whilst many of the business owners I work with talk about their goals, they are often simply about doing the everyday. What if we focused on the stretch goals, rather than just getting through the week in one piece? What if we spent our time planning what we’d love to be doing, rather than what we “should” be doing? Would it make a difference? 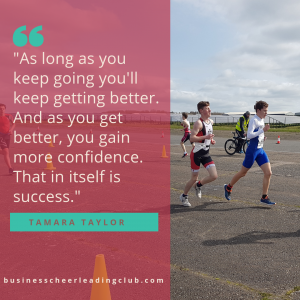 Just like any one of us wanting our body to be stronger and stretching ourselves to increase our strength through exercise, the same can be done for the rest of our life, business and mission. As a sports coach or physiotherapist (or whoever supports you to get physically stronger), will give you different exercises to do, with different intensity. So you can challenge yourself with adding in a different way of doing something, a new “exercise”, or new “intensity” on a particular focus to train yourself to be stronger. It’s not just about willpower. I think it’s about growing yourself. Just like in a wheel, if you’re strengthening one aspect it will have a knock on effect on the other parts of your life. It’s not just about balance, I believe this is about learning and growth. I’ve just started listening to Michelle Obama’s book, Becoming. She talks about every small thing which has made her who she is today. All those childhood experiences taught her to be who she is and to become the amazing woman she is. She inspires others to become themselves and work for the greater good. I’m only on chapter 2, but it’s fascinating having an insight into her world. The word strong conjures up weight lifters, and people who’ve turned their lives around from circumstances many of us don’t recognise. That’s not always helpful is it? It’s too far removed from our daily life. So what if you thought about a little stretching this week? A stretch here and there to start to strengthen yourself and your business, in whichever way feels right for you this week. Doing the same things week in week out may pay the bills, but is that what you really want to do for the next few years? Or are you looking to more than pay the bills in the future? Starting 1st April is my first 90 Day Grow your Business group programme. Join weekly group calls for the group of up to 5 business owners or managers, you’ll be flexing and stretching every muscle of your business. Spend time looking at your business through the eyes of other business owners and see the opportunities for quick wins and growth. Focus on developing stretch goals, and taking action for you and your business with the support of your cheerleading team. It requires your time and commitment each week to make the most of the training, support and coaching you’ll get on the programme. If you’re ready to stretch yourself and Grow your Business, get more clients, earn more money, and enjoy your business more, then get in touch and let’s check this programme is for you. There’s only 5 places available. If you’re interested but the timing isn’t right just now, still get in touch and let’s see what steps you can put in place whilst you’re waiting for the next programme to start. What do you do to stretch yourself? Leave a comment below so we can learn from you. Just like the bulbs know what they must do, and push through the soil to reach the air and sun, (and rain), so we must be who we are. If you ever find yourself fighting against an urge to do something, how does it feel? It’s often harder to not do something that to just “go with the flow” and do it isn’t it? I believe that’s where we must keep listening to ourselves and being ourselves. In business as well as in life. When my eldest son wasn’t able to train as usual due to an injury he wasn’t ‘himself’. He knew he was healing, but he couldn’t settle to anything. He wasn’t being his true self. Just like dogs and children need to run around and have fun daily (well, at least twice a day), and if they don’t they’re grumpy, or over excited. They have to do the things that are natural to them otherwise they aren’t themselves and can become vicious (over playful), in the case of dogs, or go on a rampage if it’s a toddler! You may know that if you don’t do something you’re not yourself. A friend recently admitted that she’d stopped running as she couldn’t fit it in to her busy life, but it was detrimental to her health. She wasn’t happy. I know that if I don’t go for a walk in the fresh air each day I don’t function at my best. Sometimes my family virtually kick me out the door as I’m snappy with them when I haven’t had my time outside. I’ll always remember my brother’s story. He went to University to do Classics, but within the first term had changed to his first love, Music. Music runs through his veins and he couldn’t NOT do it. Music is his life. 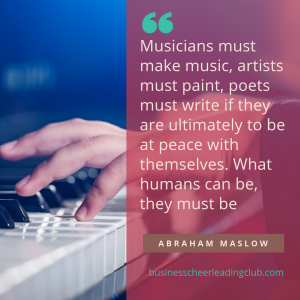 Whilst we can often see how people’s loves and deep desires come out to play and are truly them if they are musical, sporty, or artistic, it’s not always totally clear to you if you’ve hidden your true talents away. You may have been told as a child that your “speciality” wouldn’t ever earn you an income. Or you “weren’t good enough” to do something professionally, as there’s “only a few” professional tennis players who “make it”, for example. But what if you were to start focusing on your deep desires again. Your true talent. 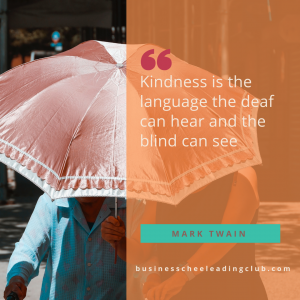 Whatever it is – helping others, caring for others, creating solutions for people, illustrating other people’s books, editing others words so that we can learn from them. If you’re not being you, not only are you likely to be unhappy, but the skills and talents you’ve been given will be hiding away. 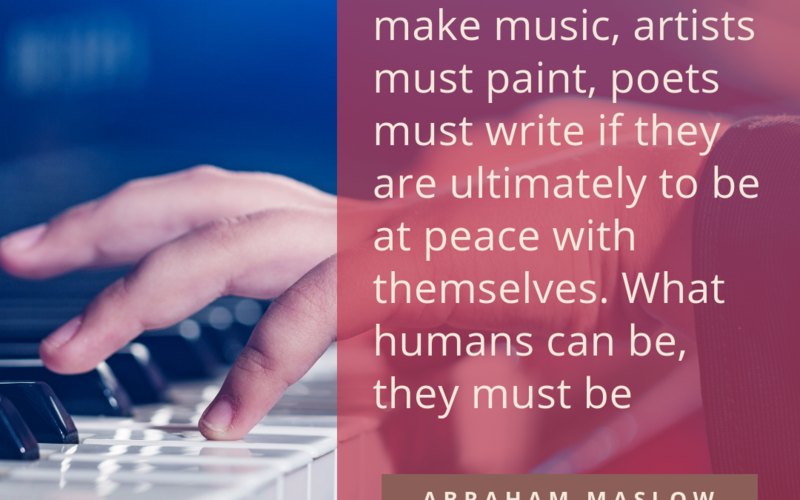 I believe that all our collective skills and talents are needed in each community. Not only does your family need you, but there’s others around you who need your talents to help them in their life too. 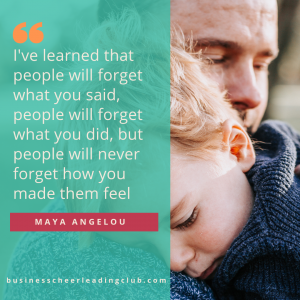 If you’re not sure what you should be ‘doing’ or ‘being’, the Find your Why session will help you re-connect with your personal themes and help you re-capture some of your talents which you may have hidden away. “This session is really worth your time for both your business and personal life. In fact what TJ will get to, is what your personal strengths and traits are and how these can be incorporated into a successful business. TJ is an excellent listener, and this is essential to this session. You need to be prepared to ‘go deep,’ tell the stories you really want to tell and watch TJ bring out the main themes and characteristics to help you bring your core values into your work life. I’d love to hear your story of being yourself. Please do let me know if or how this resonates with you by leaving a comment below. If you’d like to explore ways to explore you more, get in touch.